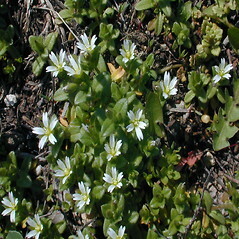 European chickweed is native to both Europe and Asia, and introduced in scattered areas in North America. 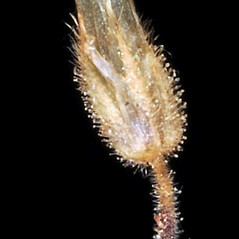 It is typically found in dry, sandy roadsides and disturbed sites, and has been collected in Connecticut and Massachusetts. 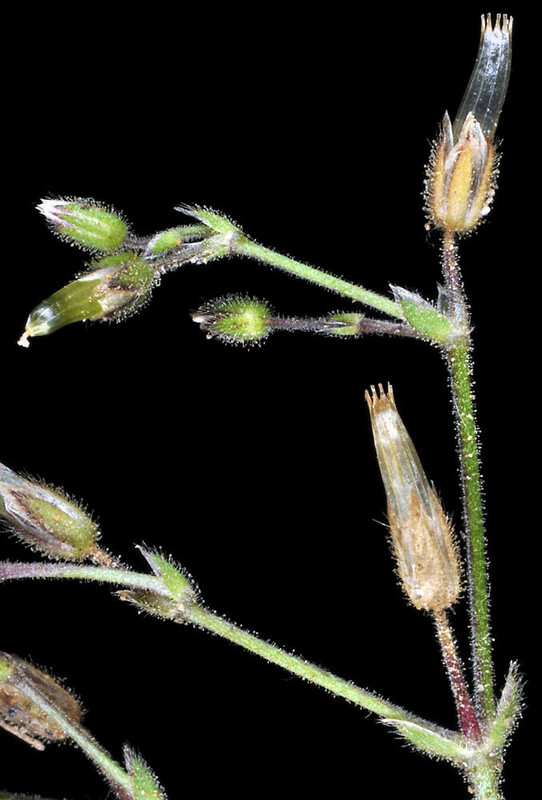 perianth 4-merous, flowers with 4 stamens, and capsules dehiscing by 8 apical teeth (vs. C. pumilum, with the perianth 5-merous, flowers with 5 stamens, and capsule dehiscing by 10 apical teeth). 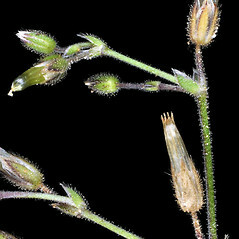 bracts of the inflorescence herbaceous throughout, flowers with 10 stamens, and leaf blades mostly 15-50 mm long (vs. C. pumilum, with bracts of the inflorescence with a translucent, scarious, distal margin and tip, flowers with 5 stamens, and leaf blades 5-18 mm long). 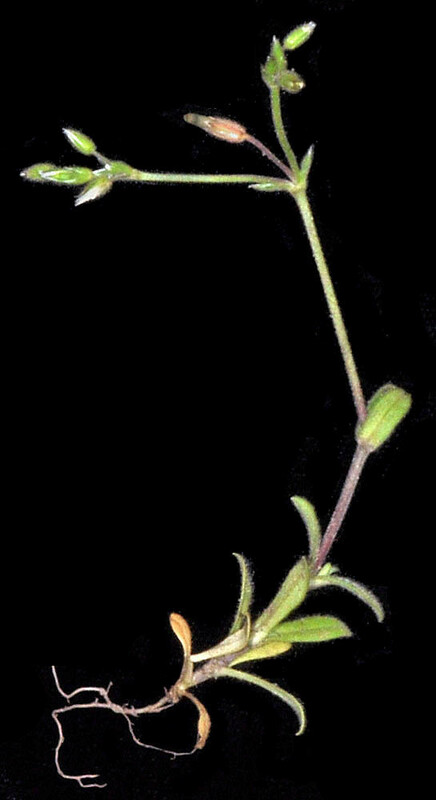 petals shorter than the sepals, with unbranched veins, and shallowly notched at the apex with a sinus usually up to 0.5 mm deep (vs. C. pumilum, with petals equaling or shortly surpassing the sepals, with branched veins, and prominently notched at the apex with a sinus 1-1.5 mm deep). 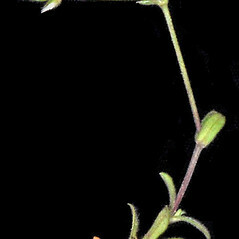 Our subspecies is Cerastium pumilum W. Curtis ssp. 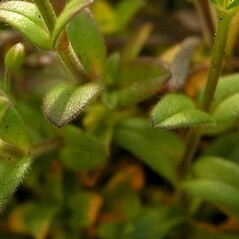 pumilum. 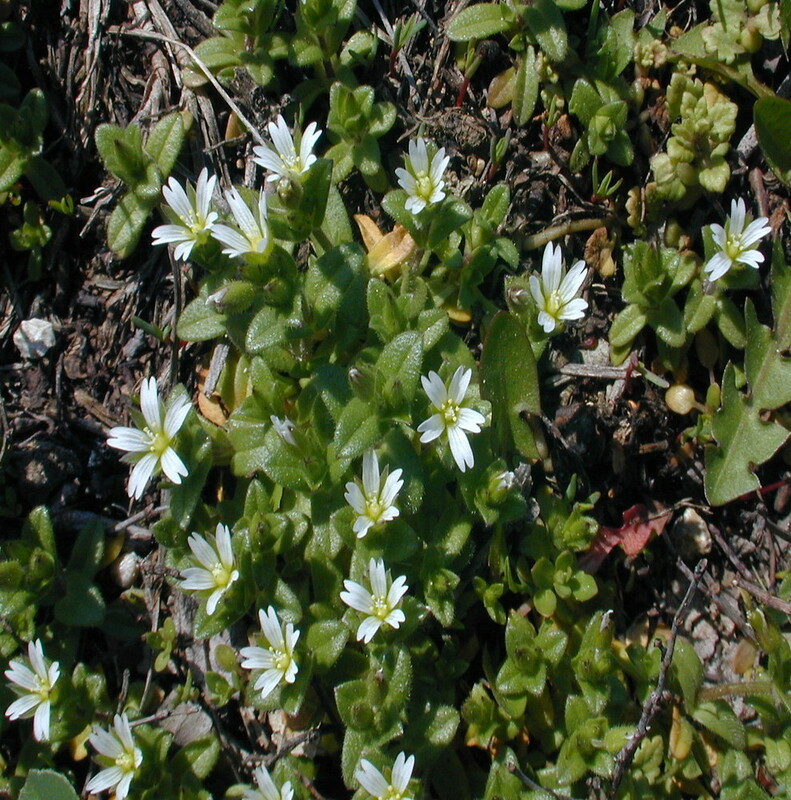 European chickweed. CT, MA. 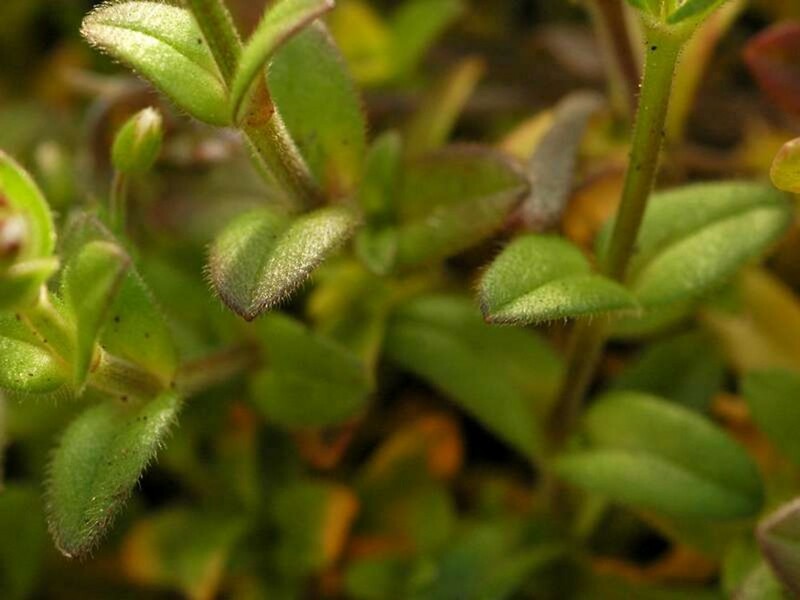 Fields, roadsides, waste areas.